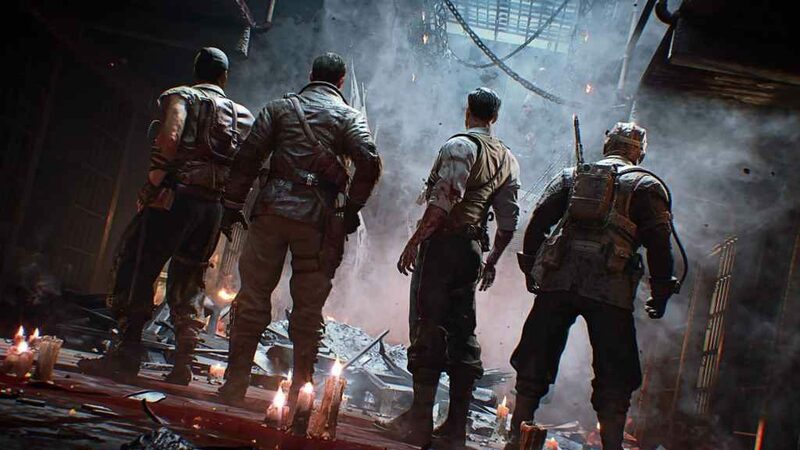 Treyarch has outlined its plans for the upcoming Call of Duty: Black Ops 4 Zombies 115 Day celebration event in a recent Reddit post. Commencing on the 15th January (tomorrow, in other words) Treyarch has promised that this year’s event will be bigger than ever. With various XP bonuses and three new Epic Elixirs set to arrive as part of the celebration. Alongside the first in a series of punishing new challenges. Known as Gauntlets, these carefully curated 30-round challenges are specifically designed to test the skills of even the most seasoned Zombies veterans. Gauntlets in Black Ops 4 Zombies are curated 30-round challenges with unique rules for each round, kicking off with “Unsinkable” in Voyage of Despair. Players will receive Bronze, Silver, and Gold medals and special tier-based rewards upon completing rounds 10, 20, and 30, as well as a unique reward (and bragging rights) for completing round 30 without failing a round. Players will also earn bonus Nebulium Plasma rewards when reaching each new milestone for the first time, so it pays to give every Gauntlet run your best shot. Rules can vary wildly round-to-round, ranging from weapon restrictions and time limitations to area defense challenges with dangerous enemy modifiers, and everything in-between. If you and your crew fail to complete a round as instructed, you’ll earn a Strike. If you receive three Strikes, it’s game over and you’ll have to start from round 1 again. Various other Gauntlets, meanwhile, complete with their own unique challenges, will be released throughout 2019. Elsewhere and landing alongside the 115 Day celebration is the game’s latest update. Comprehensive patch notes won’t be available until tomorrow (so check back with us then for full details), but Treyarch has given us some idea of what to expect. First and foremost, Black Ops 4’s most addictive mode, Blackout, will receive a long-overdue looting interface update on console versions of the game. Which, according to the developer, should make it both quicker and easier to collect weapons, ammo etc. from the surrounding environment, whilst also alleviating some of the sundry other UI issues console players have faced in the past. Blackout fans will also be pleased to learn that two new limited-time modes are set to arrive as part of the latest update. Details of which will be provided tomorrow. Lastly, Treyarch will be expanding Black Ops 4’s multiplayer offering with a fresh batch of featured playlists, implementing a number of stability and quality of life improvements, fully incorporating Elevation and Madagascar into MP map rotation (for Black Ops Pass holders only), and setting the stage for League Play. The latter of which is scheduled to arrive before the end of January. Check back tomorrow for more information on the Call of Duty: Black Ops 4 Zombies 115 Day Celebration and everything included in the latest patch.